Operatives in Lagos state have arrested four persons for producing fake Dettol and Airwick. 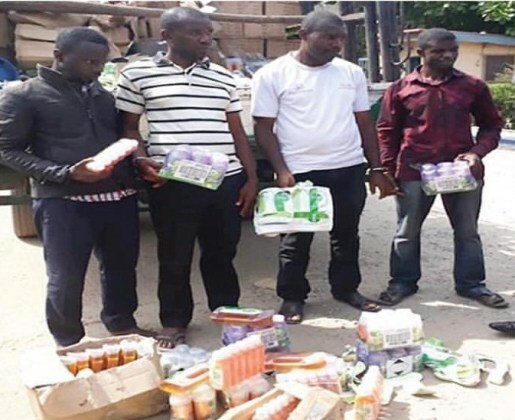 Four men who specialized in adulterating Dettol disinfectants and Air Wick fragrance, have been arrested in Lagos. The quartet were identified as Francis Ume, 32, Chidubem Achezie, 44, Peter Ume, 44, and Jacob Ejike, 41, were arrested at Okokomaiko in Ojo. A truck loaded with cartons of Dettol antiseptic and Airwick air freshener, valued at over N7 million, were recovered from them. The suspects were arrested in a room where they manufacture the products and take them to the market.